Sony Center – Spectacular and innovative roof crowns the Sony Center 'forum' at the heart of Berlin's Potsdamer Platz development. 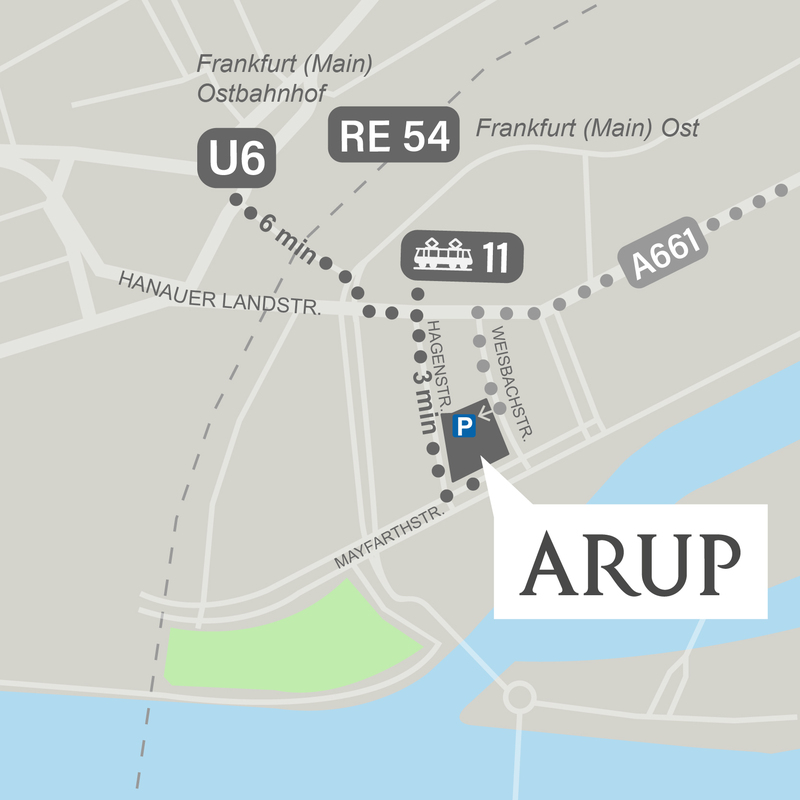 Arup has had a presence in Germany for over 25 years. From our offices in Berlin, Frankfurt am Main and Düsseldorf, we provide design, engineering and planning services as well as strategic advisory services for high-performing buildings and infrastructure. As part of Arup's global specialist network, we bring a rich seam of expertise to local projects. Our clients receive affordable, smart and sustainable design solutions that will have a positive influence on current and future generations. Frankfurt am Main is a major international financial centre and home to numerous well-known financial institutions. The metropolis on the Main, locally known as Mainhattan due to its skyline, is a major industrial, service and exhibition centre. Because of its central location, Frankfurt am Main is also an important European traffic hub: Frankfurt airport is one of the largest in the world. Arup was involved in the planning, development and redesign, as well as project management, of many of the city's iconic high-rises, including the towers of Commerzbank and European Central Bank, the Messeturm, the Garden Tower and the TaunusTurm. One of our particularly innovative projects in Frankfurt is the award-winning Citigroup Data Center, which set new standards for the sustainable development of data centres.